Steel vs. Synthetic: Which Winch Line Do You Trust? If you’ve taken your share of the roads less traveled, you’re likely familiar with the most commonly used recovery tool in the automotive industry—the winch. As a one of the most trusted names in the winching, Warn has a reputation for fast and reliable winches. What you might not know is that the company doesn’t just manufacture winches. 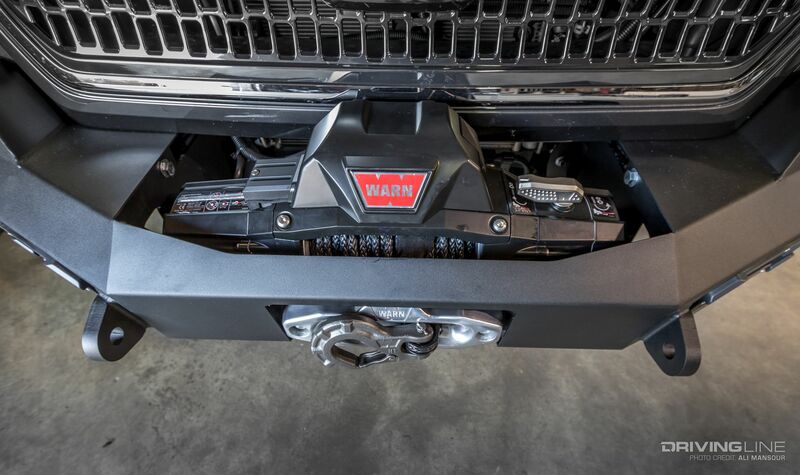 Understanding that your Jeep or truck needs a place to mount a durable recovery tool, Warn offers a full line of winch bumpers for a wide variety of late-model 4x4s. This was something we kept in mind when building out our 2017 Toyota Tacoma. From the factory, our TRD Off-Road edition came equipped with plenty of great off-road appointments. Beyond needing a slightly more aggressive set of treads (which we took care of via 265/75R16 Nitto Terra Grapplers) the truck’s stock bumpers don’t exactly lend themselves to rugged off-road use. To fix this, we installed a set of Ascent series bumpers from Warn. The plate-steel bumpers are designed not only to improve the ascetics of the truck, but offer secure tow points, spots for auxiliary lighting, and a home for a winch of course. To install the bumpers, we took our truck to Low Range 4x4 in Wilmington, North Carolina. There, the crew was able to knock out the upgrade in a few hours. While the video above walks you through the install, we’re breaking down the details the article below. Warn designed the Ascent series bumper to work with the 3rd gen Tacoma’s stock front bumper. You will need to trim out a section of the OE front bumper, along with the stock fog-light mounts, but it’s nothing a few minutes with an air-saw can’t handle. 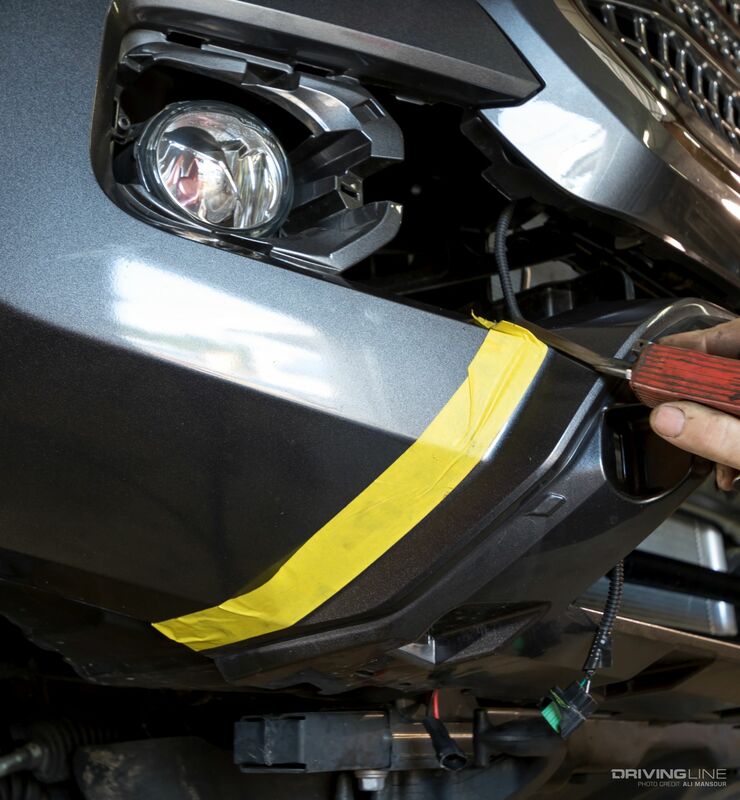 The front bumper mounts are bolted to the Tacoma’s framerails and tied into the stock tie-down points on the front crossmember. Like the bumper, the brackets come powdercoated with a black texture finish. 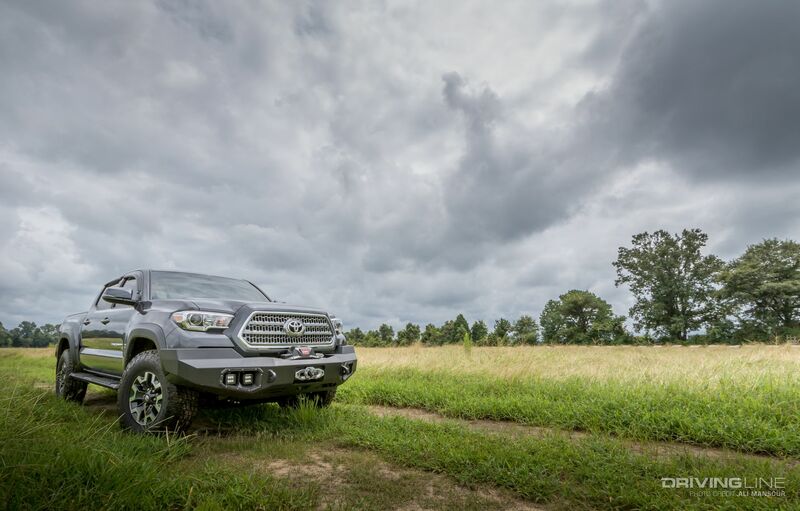 The Tacoma-specific winch bumper is comprised primarily of 11-gauge steel, which keeps the overall weight down. Along with the necessary hardware, the Ascent bumper includes a spot for dual auxiliary lights. Since it is a winch bumper, we opted to fit ours with one of Warn’s Zeon series winches. 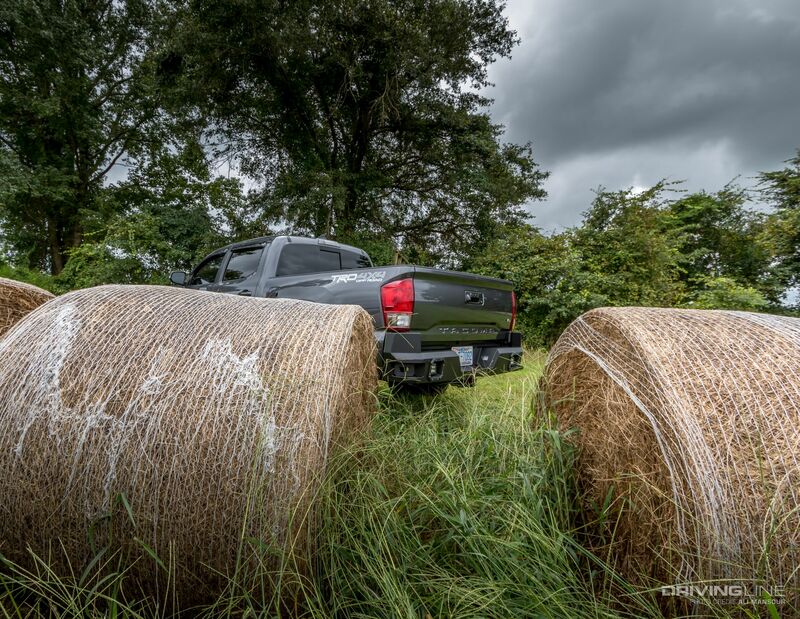 The 10-S model we selected has a 10,000-pound line pull rating, which is plenty for the ¼-ton Tacoma. The 216:1 gear ratio on the Zeon model makes for a speedy recovery and the cast-aluminum housing helps keep down the weight. Adding some extra strength to our setup is Warn’s Epic Series winch hook, which is rated at 12,000 pounds for our application. The forged-steel hook is attached to 3/8-inch Spydura synthetic rope, which has proven to be durable and user-friendly on the trail. It’s easy to bang up the front bumper on the trail- especially at the factory ride height. We’ve already gotten good use out of the new setup, and even found the D-ring shackle mounts handy for a quick trail recovery. Since we wanted a more rugged rear bumper as well, we installed Warn’s Ascent Tacoma bumper out back. 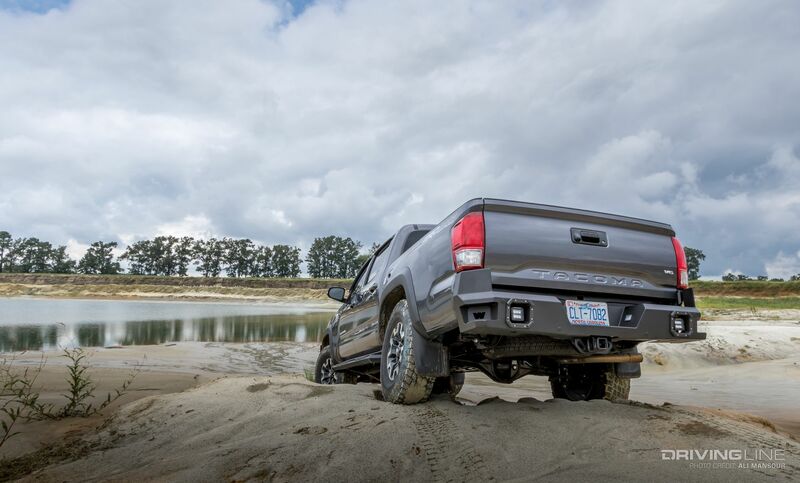 The bumper is entirely bolt-on and even allows you to re-use the Tacoma’s factory receiver. Similar to the front, the rear bumper comes fit with a black textured powdercoat finish to protect the 11-gauge steel. Along with appointments for the stock backup sensors, there’s allotments for 2-inch auxiliary lights. The bumper also has a step cutout on each side to make getting in and out of the bed much easier. Looking for more builder tips? Check out these 10 Common 4x4 builders’ mistakes.